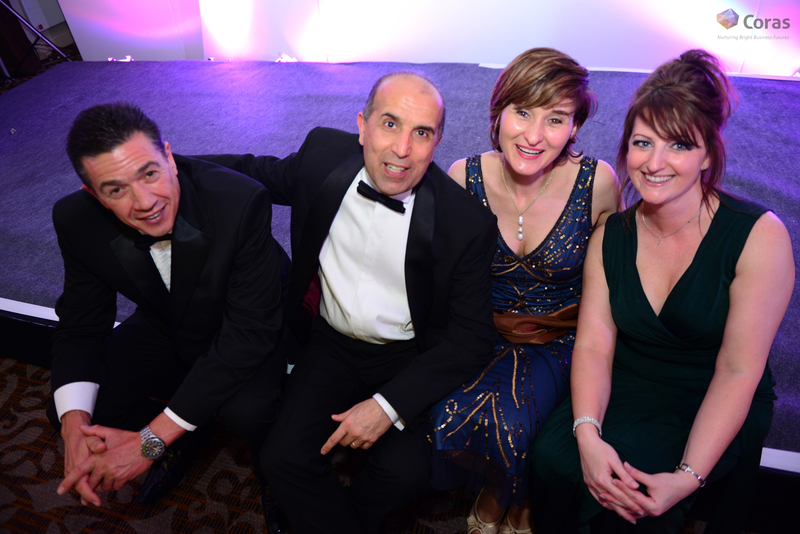 International Gums and Oils, a Cardiff company, beat off hard competition to win a £50,000 investment plus 6 months mentoring from a Newbury based entrepreneur, Shawn Khorassani. This is the first time that the award has been won by a company outside of West Berkshire. 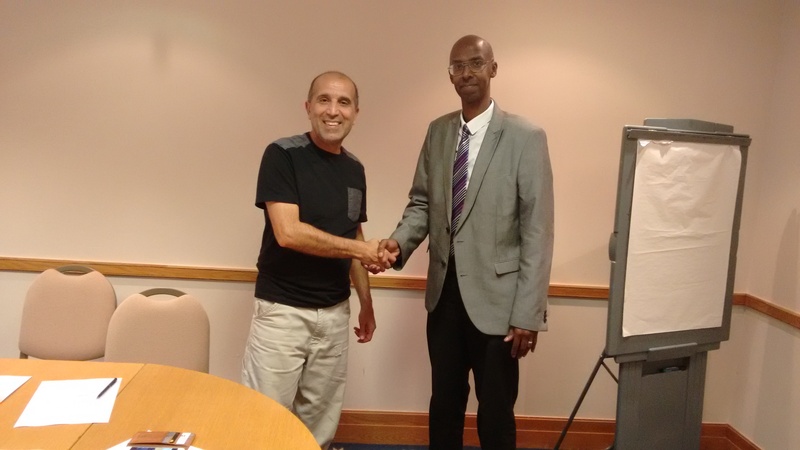 Dr Ahmed Ali, a former Research Director of the Compton Group, based at Cardiff University’s School of Biosciences, is the CEO of International Gums and Oils Limited (IGO). It is a natural products based company supplying the fragrance and flavours industry with high value oleoresins. Oleoresins are a naturally occurring combination of oil and resin that can be extracted from plants. They are a highly concentrated substance that exists in liquid form. The extraction process begins with raw spices that are cleaned and ground, then the spices’ oils are distilled using an organic solvent. Their plan is to manufacture essential oils and to convert the waste products from this process into natural products which are in high demand by the flavour and fragrance industry of Europe and the USA; and create innovative new products from African and Asian plants. Coras supports and develops new business through mentoring, networking and investment. 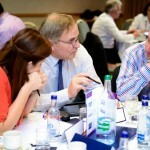 Over the last three years we have been involved with a growing number of successful, expanding companies. One of the most recent is Avanatta – the social networking collaborative video making application which uses ground breaking anti trolling software. Users add their videos to those made by others to create a film that can be watched back, added to and shared across the social web. 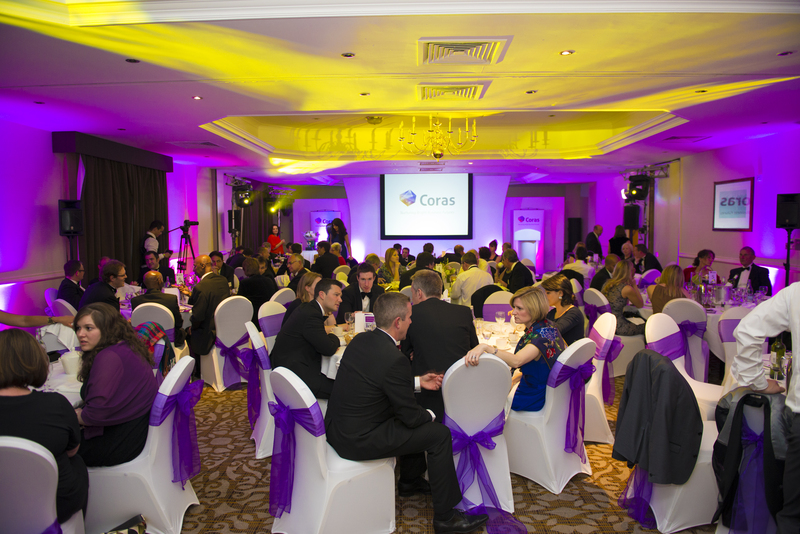 Attending the Coras 2015 awards ceremony in May opened up many doors for Avanatta. 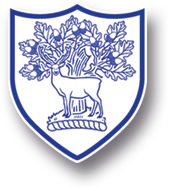 The Head Teacher of Park House School, Derek Peaple, was one of the many people who approached them after their presentation to congratulate them on their product, and express an interest in their anti-trolling software. 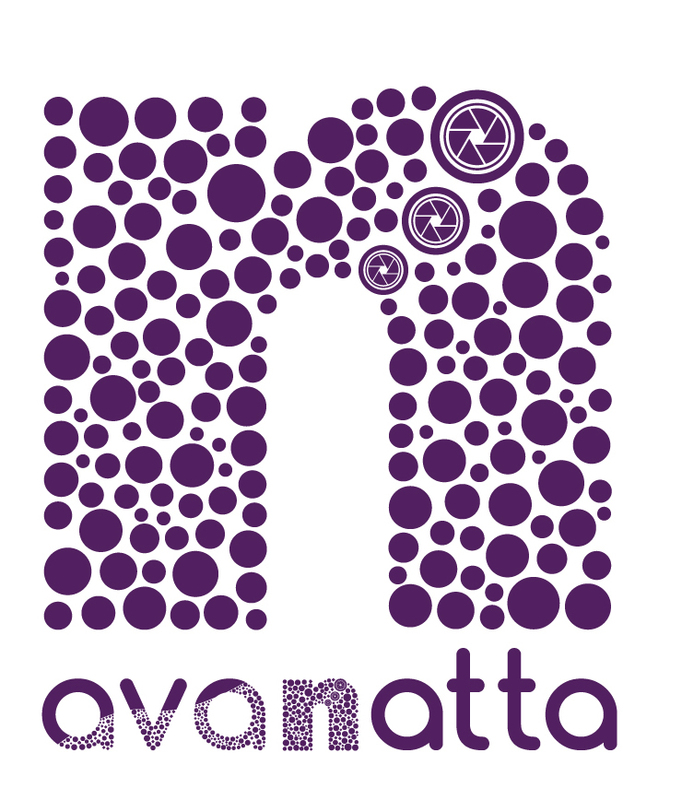 For further information on Avanatta visit www.avanatta.com. Making connections and supporting people’s aspirations is key to what drives Coras. We would love to hear from you if we were able to help you do this – we love a success story and would really like to be able to share with people how Coras may have helped you. 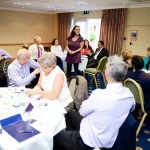 Just contact Rhian on rhian@coras.me. 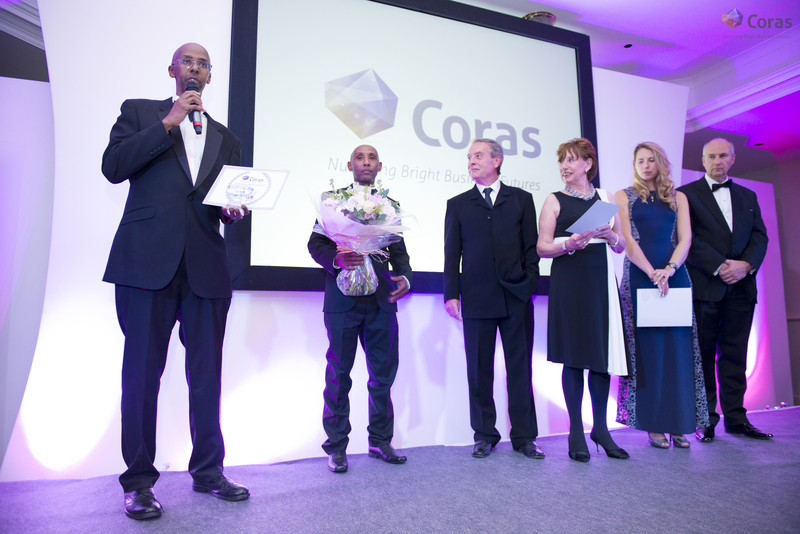 Following the excellent feedback we had from our event this year, we are delighted to present selected highlights from Coras 2015. 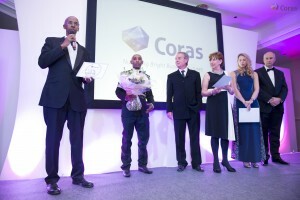 To access the 4 minute video click on the image to find out wha the finalists have to say about Coras, what it meant to be part of the event and how we see Coras moving forward. Since the event things have been moving at some pace. 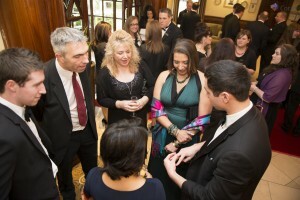 As well as meeting with the finalists – and winner – of the events, we have also been making connections with organisations beyond our traditional boundaries with the aim of continuing to support and develop entrepreneurs. We will update on these developments in the future. Share Your Story from the Night! 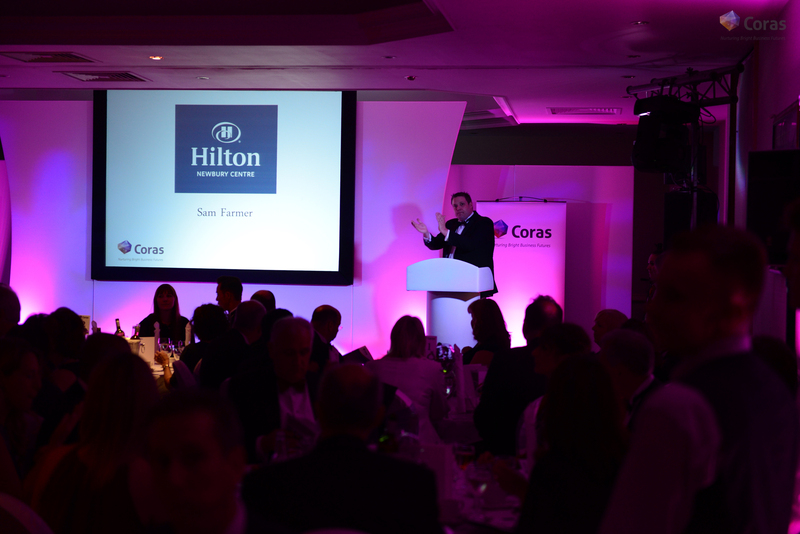 We have had great feedback from the people who attended Coras 2015 and we would like to thank everyone that took part. We asked just one question – “how would you score Coras 2015” out of 10. The average score was 9.2 – the bar is set high but we are not complacent and will not stop till we get 10! We also asked people to let us have any comments about the event. All the comments were overwhelmingly positive and approved of the changes we had made to this year’s event. 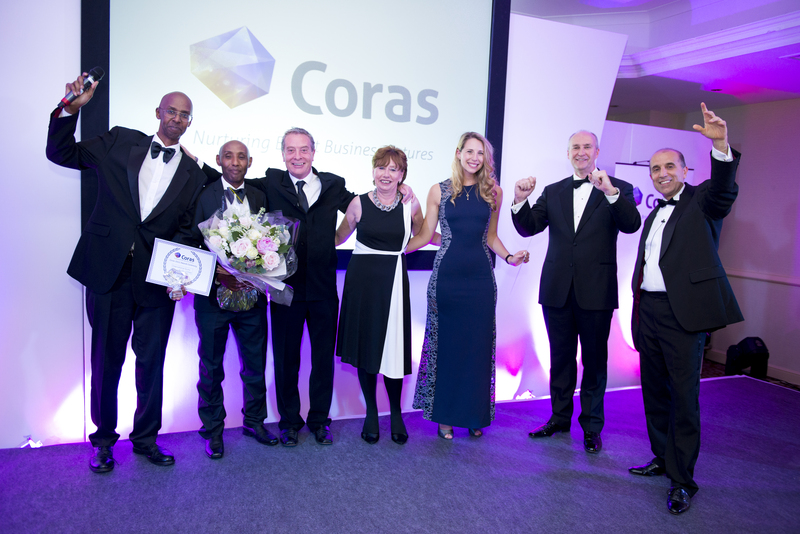 Coras 2015 reaches its climax and the winner is…..
After a hard fought contest, Shawn Khorassani announced the winner of Coras 2015 at a glittering gala evening on 7th May at Hilton Newbury Centre Hotel. This year the three finalists Avanatta, Scentrel and International Oils and Gums competed for the potential investment pot of up to £50,000, a £1,000 cash prize and 6 months mentoring from Shawn. After a closely fought contest International Oils and Gums was named the winner. However, there was a definite twist this year. Given the high quality of applicants Shawn decided to offer all three finalists the opportunity of each tapping into a £50,000 investment pot. 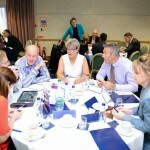 The Coras event enables networking but beyond that – and more importantly – it exists to support and develop new business. The enthusiasm and commitment from all the applicants has been vital in making this event a success. The fact that Shawn decided each applicant has the opportunity of getting up to £50,000 investment each shows how close the contest was this year. Sam Farmer, General Manager of the Hilton Hotels Newbury, host and sponsor of the event said “We are proud to be associated with Coras – it is a key feature of the business calendar in Newbury, supporting new business development.” In addition to the main sponsor, Hilton, Coras draws on a wealth of experience from the team who support them year in and year out publicising and promoting the organisation – all based in Newbury. Big Print, Keeps Printing and Media Fusion have been key in designing and delivering the look and feel of this year’s event. Harrison Green, florists and Bills – a new restaurant in Newbury – also joined the team this year. Charles Lucas Marshall Solicitors, Arieso, Advoco Solutions, Newbury Rugby Football Club and MWS Media have joined with West Berkshire Council, Thames Valley Partnership and Berkshire Media Group in recognising the value of Coras and in supporting the event. 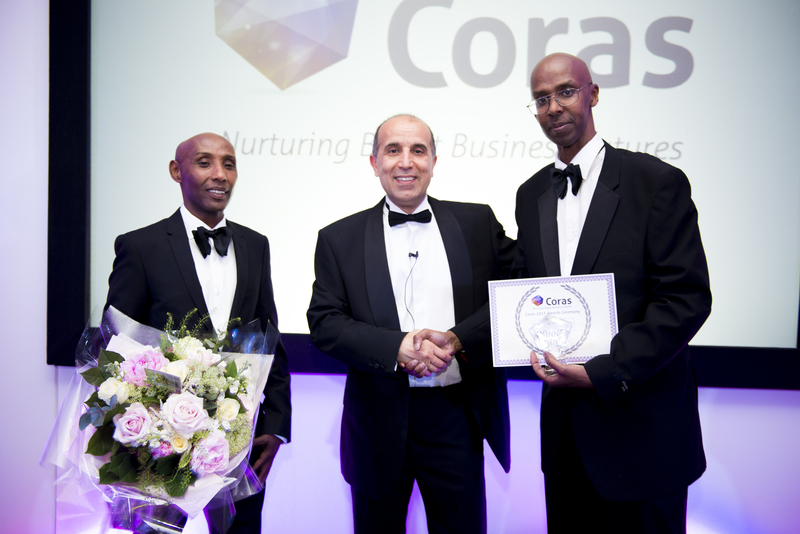 The winners – Dr Abdi Adam (International Oils and Gums Ltd), Shawn Khorassani (Coras) and Dr Ahmed Ali (International Oils and Gums Ltd). 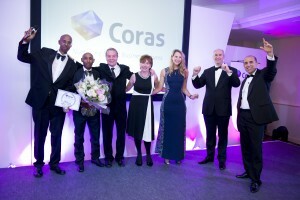 The finalists – Dr Ahmed Ali, Abdi Adam (International Oils and Gums), Ron Jones, Melodie McKenzie-Jones (Scentrel Ltd), Georgina Pursey, Richard Pursey (Avanatta), Shawn Khorassani (Coras). Coras 2015 has announced their three finalists for its award ceremony on 7th May at the Hilton Newbury Centre. 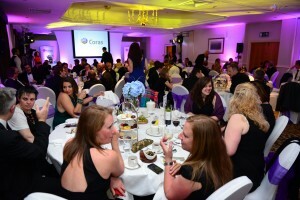 Coras, sponsored by Hilton, is in its third year and this year they have had more applicants than in previous years and the standard has been consistently high. “The fact that more entrepreneurs than ever have come forward tells me that innovation, creativity and keen business sense are alive, well and thriving.” said Shawn Khorassani – the man behind Coras. 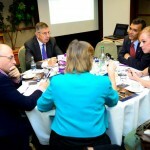 Companies have to go through a rigorous process to be selected as finalists – first they submit a 1000 word synopsis, this is then followed up by interview before the last three are chosen. 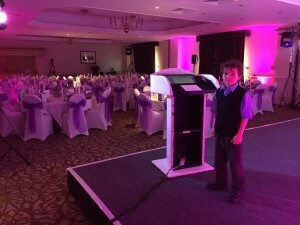 On the night, each finalist will give a 5 minute presentation before the winner is chosen by Shawn at the end of the evening. The prize is substantial – a £50,000 investment opportunity for the winner, 6 months mentoring from Shawn and a cash prize of £1,000. “It is great to see the enthusiasm and the ideas that are out there – and to be given the chance to support them and help them develop. May 7th is going to be a great night for start ups and for networking – and basically for having a good time with great people who are interested in developing ideas for the future”. Avanatta is a collaborative video making application with a social networking wrapper. Users add their videos to those made by others to create a film that can be watched back, added to, and shared across the social web. 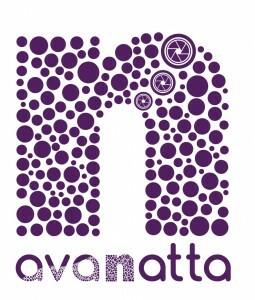 Avanatta has a range of social responsibility features. Users earn nattaCoins (Avanatta’s currency) which they can use to buy digital products such as downloads and digital vouchers. Users can buy digital gifts for themselves or send them as digital presents to friends and followers. They can also donate their coins to the Avanatta Foundation which cashes them in and donates to socially responsible causes. Scentrel was set up in 2008 to develop a pesticide for the 3rd world to help combat malaria. The present system is a humble candle which, when lit, transfers the thermal energy of the flame to the organic insecticide which has been infused into a porous ceramic disc. Once the disc is heated it diffuses the formulae safely into the atmosphere without the customary harmful toxins of sprayed to air products. The company has forged a business partnership with one of the foremost insecticide companies in the UK, Agropharm Ltd. Together they have developed a unique, organic formula of insecticide which incorporates pyrethrum – a naturally occurring by product of the African chrysanthemum flower. Exhaustive independent DEFRA accredited studies showed proven kill rates of up to 90% and the products were then HSE approved. The pyrethrum insecticide is safe for use around children and pets. It is presently being offered in 14 different pest control products and will be going on general sale in May 2015 in the UK and selected territories in the European Union. International Gums and Oils Limited (IGO) is a natural products based company supplying the fragrance and flavours industry with high value oleoresins, such as those from frankincense, and its waste products. Their plan is to manufacture essential oils; to convert waste products, into natural products which are in high demand by the flavour and fragrance industry of Europe and the USA; and create innovative new products from African and Asian plants. Coras is a platform for Shawn Khorassani to help nurture business talent and bring his years of experience to companies and individuals who have the vision to leave a lasting legacy through the creation of well-run and successful enterprises. 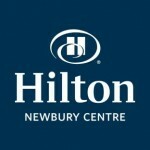 In addition to the main sponsor, Hilton, Coras draws on a wealth of experience from the team who support them year in and year out publicising and promoting the organisation – all based in Newbury. Big Print, Keep Printing and Media Fusion have been key in designing and delivering the look and feel of this year’s event. 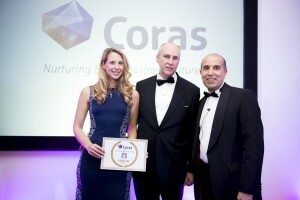 Charles Lucas Marshall Solicitors, Advoco Solutions – an IT company based in Thatcham, Newbury Rugby Football Club and MWS Media have joined with West Berkshire Council, Thames Valley Partnership and Berkshire Media Group in recognising the value of Coras and in supporting the event. Coras has made its reputation by promoting and nurturing businesses and entrepreneurs in and around Newbury – and in 2015 we will continue to do just that. 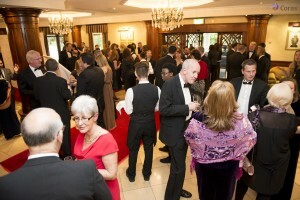 On 7th May we are holding our third gala dinner and awards ceremony at the Hilton Newbury Centre. We would love you to join us. This is a great opportunity for you to meet business professionals at a high level, to promote what you do and to celebrate the success of local businesses. 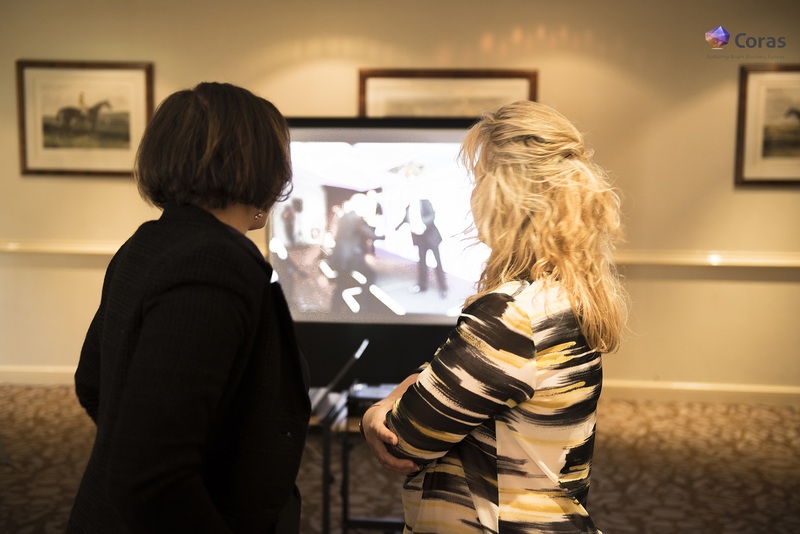 If you would like to attend or would benefit from winning £1K cash, 6 months business mentoring and an opportunity to tap into a possible £50K investment (or know someone who would) then read more here. 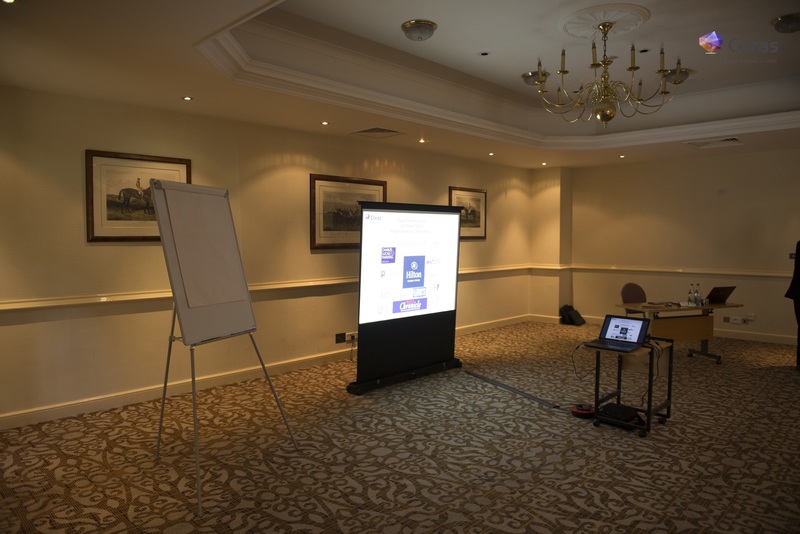 Thursday 9th October saw the Coras Business Growth Seminar presented by Shawn Khorassani, local businessman and experienced entrepreneur. As headline Coras sponsor, The Hilton Newbury Centre Hotel hosted this sold out inaugural event and over 20 prominent local companies were in attendance. The day began with a presentation by LevelX, winners of the Coras 2014 competition. Company founder, Steve Ardagh-Walter, gave an overview of his company and spoke about how uplifted he was by his Coras win and how he valued Shawn’s input and mentorship. 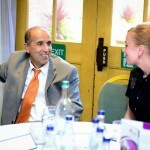 Shawn then spoke in detail about his experiences in business, offering his advice in areas where he had overcome challenges and hurdles himself. 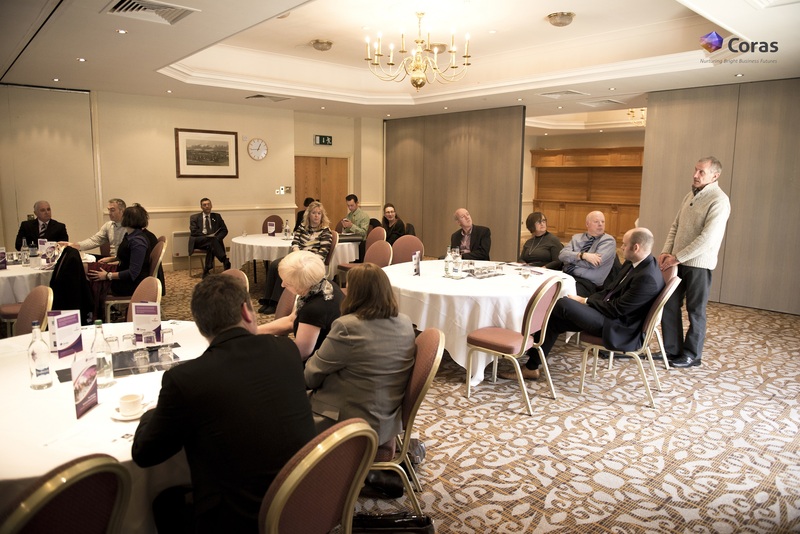 Tasks were also set where attendees were invited to network, learn about one other and ultimately, to work together in groups to identify and use their own skills and experience to come up with hypothetical business ideas and plans. The day wrapped up with a relaxed networking session over a delicious lunch. If you are a start up or SME or even if you have a great business idea that you are ready to implement, you can contact Coras (www.coras.me) throughout the year to arrange a discussion with Shawn. 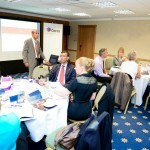 Below: Photos of the Coras Business Growth Seminar. Photography by KSP Photography.